The preferred way of triggering templates with PhraseExpander is by using a confirmation key. This works hand in hand with our SmartComplete text autocomplete technology that allows you to expand abbreviations after typing only a few keystrokes. This system is pretty fast (as you almost never need to type the entire abbreviation) but, sometimes, this is not fast enough, as you may have some templates that you use a lot and you want to be able to insert them super fast. 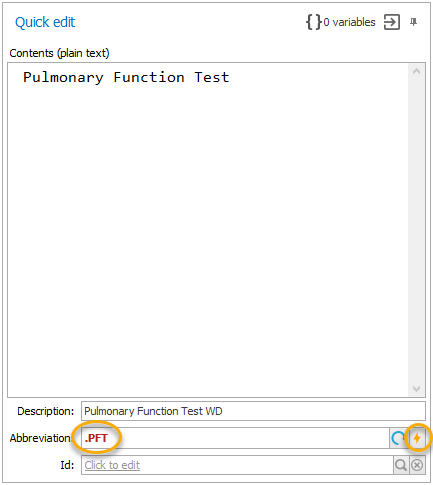 So, we have also offer Instant Execution, which lets you trigger a template by typing the associated abbreviation, without requiring the confirmation key. Here’s how you can set up a template for Instant Execution. When should you use Instant Execution? When you need to trigger your templates really fast. Make sure that the short you have defined has a prefix – like _ – to make sure that the template is not triggered when you don’t want to.